Information Gap Activities require students to communicate with each other in order to find all the necessary information to complete the activity. Each partner has information that the other does not. It is very important that students have the appropriate level of language in order to complete the activity. There is sometimes a lot of repetition in the communication as students try to narrow down the information. This can be very useful when you want the students to focus on a particular structure. 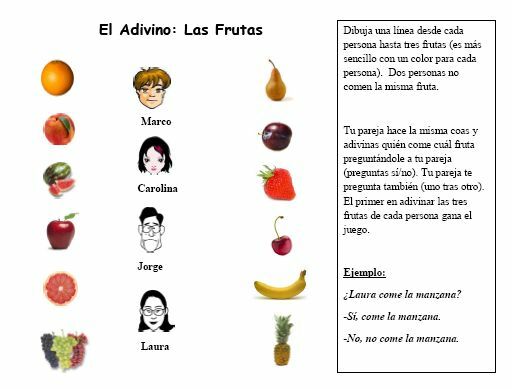 Here is an example of an activity (El Adivino, Le Devin) where students first choose their “secret” information that their partner must then discover. This entry was posted in Activities and Games, Speaking. Bookmark the permalink.